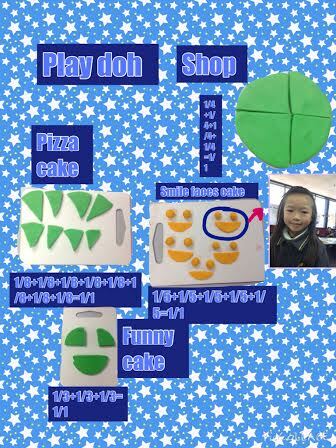 We are learning how many parts make a whole. 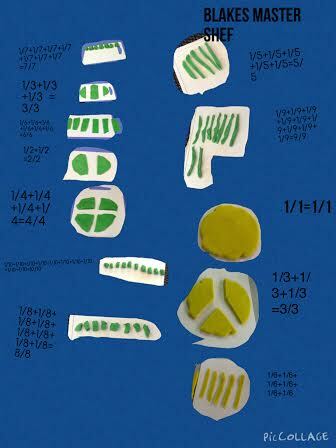 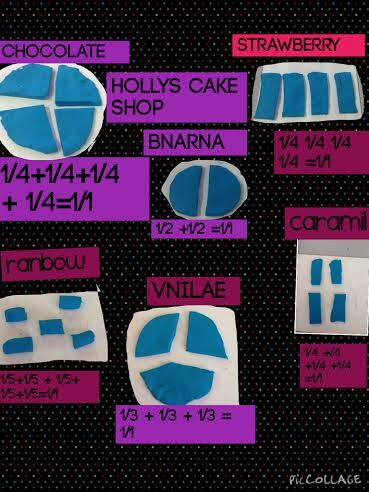 We have learnt that all parts of a fraction need to be the same size. 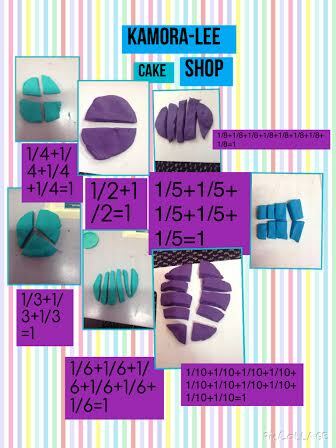 Our challenge was to make a cake shop. 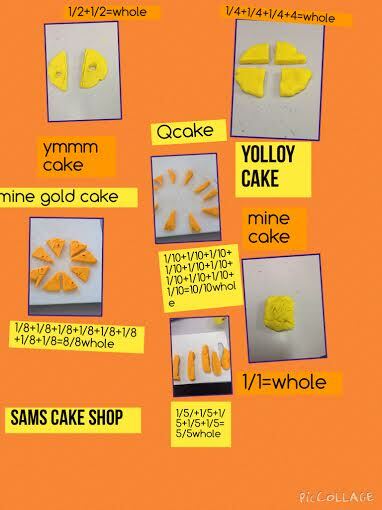 In cake shops the cakes are cut up into parts so pieces can be sold. 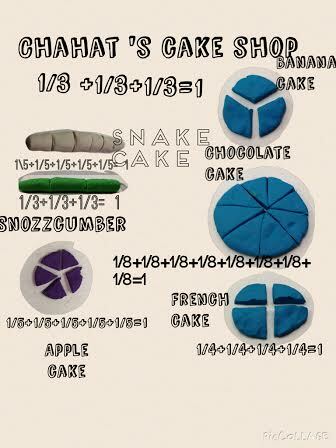 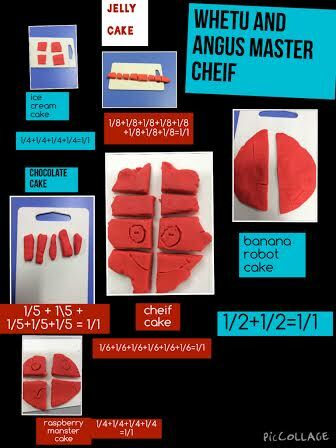 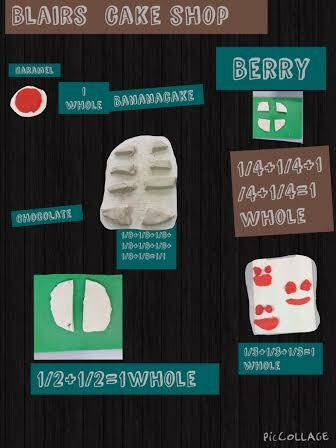 We had to cut the cakes up into different fractions and write the number sentence to show how many parts make up 1 whole.